Have you or somebody you know been burgled recently? Do not worry, there is plenty you can do to thwart their schemes. Here are six factors you should consider which can affect your home literally becoming a magnet for burglars. Mapping out an escape route helps a burglar gain more confidence when it comes to deciding which homes to rob. Unruly hedges and unlocked gates, for example, can provide easy places to hide or escape. Trimming your hedges and ensuring that gates are secured are a great first step to deterring intruders. Adding a security system and more light also creates an environment that is less likely to be burgled. A vital element to ensuring that burglars pass on your house is to make it known that you have a security system. You need to display signs attesting to this fact in those areas where unsavory people are most likely to see them, such as your front lawn. It's true, dogs are a great deterrent to burglars, but remember that they will not be the only thing you need to deter would-be burglars. Whether you get a breed that is known for their protective nature, or choose one that is more of a warning system, a dog can help protect your home up to a certain extent while being a loving companion. Your best choice would be to couple a dog with a high-quality security system. These two will help you rest securely at night, safe in the knowledge that you are protected. Today's security cameras and surveillance equipment put the power right in the hands of homeowners. Whether you are home or away, you can easily keep tabs on your home front. The fact that you make such equipment known helps cut down on the possibility of your home being burgled. After all, what thief wants their face visible on camera when they are burglarizing a home? It is not enough to simply use a security system with lights and cameras. Adding an alarm puts a serious damper on any thoughts that most burglars have about entering your home. According to a study by researchers at the University of North Carolina, the majority of burglars, 60%, would seek out another target if a home had an alarm system. By choosing a security system that gives you the ability to check on your home from afar, you can easily set up alerts and other forms of communication if you are burgled. Even if you are at work, or on vacation, you can ensure your home is safe from burglars with a home security system in the palm of your hand. Crime is a big problem in our society. 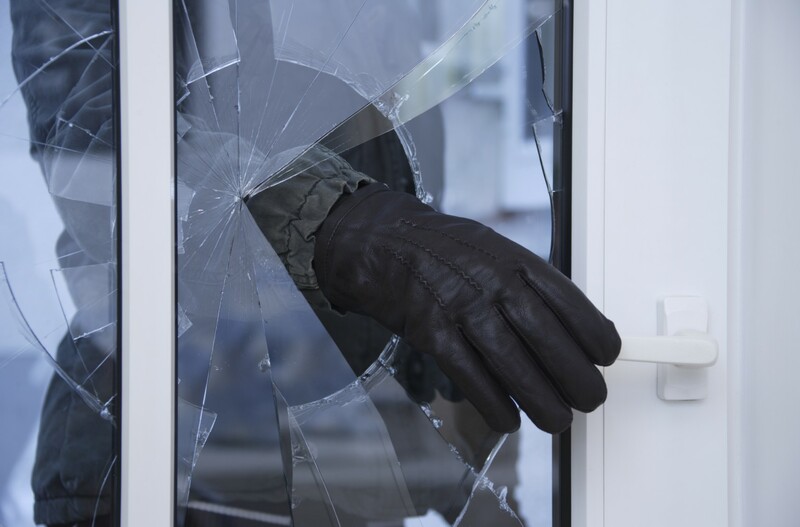 Make sure none of these factors are the reason your home was or is burgled. Understanding and addressing these problems around your property is the first step to securing your home.